Accessing collected information: You can access any of your personally identifiable information that we collect on-line and maintain. You can correct any errors in your personal information by sending us a request to do so. We will verify your identity before we make any corrections. Contact information—name, organization, address, phone number, and email address. Payment information—credit card number, expiration date, electronic payment, matching funds and billing information. This information, however, is properly destroyed after its use. Volunteer information—name, address, volunteer interests. 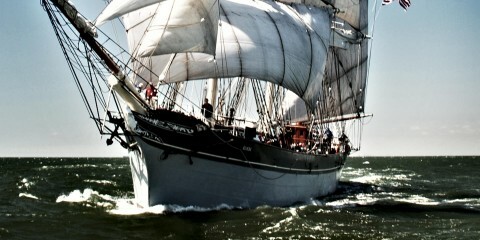 Information concerning how you heard about Galveston Historical Foundation. Your request to receive periodic updates/invitations via U.S. mail or email—e.g., to individuals who request it, we will send periodic mailings related to specific fundraising appeals. How Information is used: Galveston Historical Foundation uses your information to understand your needs and provide you with better service. Specifically, we use your information to help you complete a transaction, communicate with you, and update you on Foundation happenings. We use the comments you offer to provide you with information requested, and we take seriously each recommendation as to how we might improve communication. Regarding contributions, all donations provided for specific sites or entities are used for the specific purpose designed. No Sharing of Personal Information: Galveston Historical Foundation will not sell, rent, lease, or share your personal information. We assure you that the identity of all our donors and patrons will be kept confidential. 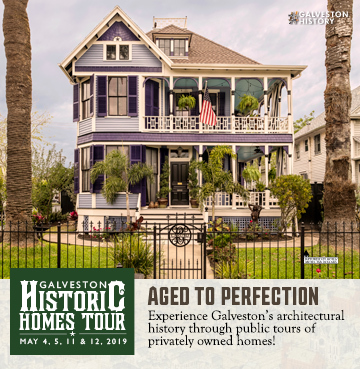 Use of donor and patron information will be limited to internal purposes of Galveston Historical Foundation and used only to further the Foundation activities and its mission to preserve and revitalize the architectural, cultural and maritime heritage of Galveston Island. Removing Your Name from our Mailing List: It is our desire not to send unwanted mail to our donors and patrons. Please contact us if you wish to be removed from our mailing list.